LONDON, Jul 12, 2012/ — If you’re petite you may fear that the fashion world hates you with those jeans designed for a 6ft woman staring enviously at you. With a bit of clever thinking you will be able to defy the idea of having to be tall to look good in fashion and find styles that suit you. Said in the words of “How to look good naked” expert Gok Wan, ‘width is your enemy’. When shopping for trousers and jeans straight legged and flat fronted trousers are perfect for accentuating legs and making them look longer. You should avoid trousers that are too long for you as they will just swamp your frame and opt for a waistband that sits just underneath your navel. Try to avoid baggy trousers, ‘hipster’ style jeans or trousers with low waists and cropped trousers as they all add width and make you look larger then you are. 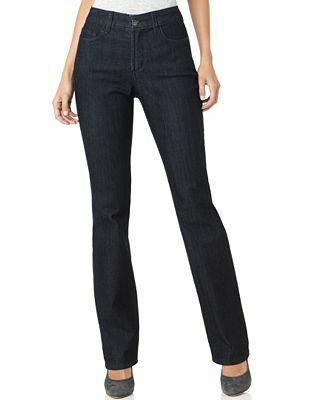 Gok Wan also advises on straight legged dark denim jeans with a crease to give the illusion of long legs. Dresses and skirts are perfect for petite women as they can be styled to fit a petite frame through the use of style and block colours. Go for a style that emphasises your legs rather than your torso and avoid drop waist styles. Ideally go for a shift dress with a hemline that ends just above the knees or empire line that has a horizontal seam under your bust. Buying in block colours means you can make your body seem more streamlined and taller. Halter neck, strapless, strappy and one shouldered are all styles that flatter a petite figure but try to avoid bows, ruffles or puff sleeves which can seem too girly. Big prints may swamp your small frame so opt for smaller more succinct prints or one colour. If you’d rather wear a skirt the most flattering styles are pencil skirts whilst avoiding A-Line or 50’s style gathered skirts. When choosing t-shirts or tops go for styles in block colours with v-necks that are slim fitting to emphasise your body shape. Don’t buy a top simply because you like it, you should ensure that firstly it suits you and secondly goes with a pair of jeans or trousers you already own as clashing colours draw attention to your frame. Try to avoid crop tops and sweatshirts. When choosing a jacket make sure that they appear structured and have a waistline that is slightly higher than your own waistline with a hemline sitting by your hips. Styles such as bulky jackets, boxy and double breasted styles only succeed in making you look broader and shorter. When choosing a coat, petite women should avoid long coats and choose a style that is just above the knee whilst avoiding funnel necks, rounded collars and big buttons. By choosing a skin colours that matches the tone of your skin you can give the illusion of longer legs. Fashion guru Gok Wan recommends round toe ballet pumps, closed toe pointy shoes with mid kitten heels. Try to avoid ankle straps, boots and wedge heels which can crop the leg and make them shorter. Go for good quality, sophisticated accessories such as small leather bags, delicate jewelry and narrow belts. Items such as long scarves and an up do hairstyle can also give the illusion of height. Petite women can shop for these styles in a number of sizes including 8, 10, 12, 14, 16 and size 18 clothes from Viyella.